The Progress was there on Sunday to photograph both the B.C. men’s and women’s teams, who played against Team Yukon and Team Alberta, respectively. 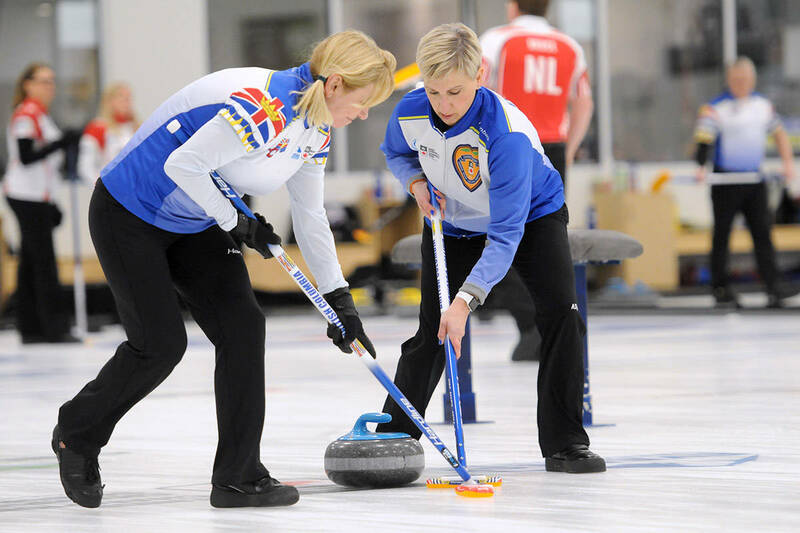 The men’s team is from Nanaimo/Kerry Park Curling Clubs, and the women’s team from Penticton/Kelowna Curling Clubs.